TE-SYSTEMS offers extensive product related workshops which show you the efficient use of our Software Session Border Controller anynode®. Who can attend these trainings? Our training is designed for IT professionals. Administrators, resellers or system vendors who want to take full advantage of the potential of anynode®. By training at the anynode® academy, you will receive the comprehensive knowledge you will need. The training is designed in such a way that everyone can find what they need. Whether beginners, advanced or professionals, our different levels adapt to the each users skillset. The anynode® academy is an important component for an anynode product partnership.  Learn more about the opportunities to shape the future with anynode® on your team. We are looking forward to hearing from you at sales(at)te-systems.com. You can expect a highly qualified instructor who has developed the training in close cooperation with TE-SYSTEMS. The instructor can give you a prospective from all angles. It will ultimately prepare you to use and configure anynode® with confidence in any situation. The classes are face-to-face trainings with a maximum number of 8 people. By doing it this way, it allows for better communication with the instructor and other IT professionals. It delivers the knowledge needed, bundled and efficiently combined with best practice scenarios. That is our approach: Question – Answer- Solution – Implementation. After attending our anynode® academy you will receive your certificate.